THE NORTHERN ROOFSCAPE. WHAT IS MISSING? As a former employee of a fine company that makes hand made clay plain tiles, it is with some irony that I find myself living in a place where such a roof is virtually non existent. The reasons are principally historical with clay source being the prime factor. 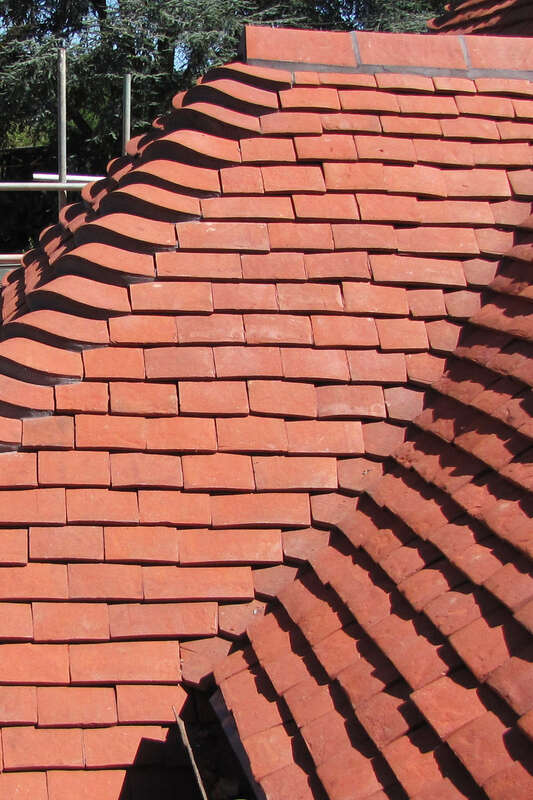 The South East is the epicentre of hand made clay plain tiles. 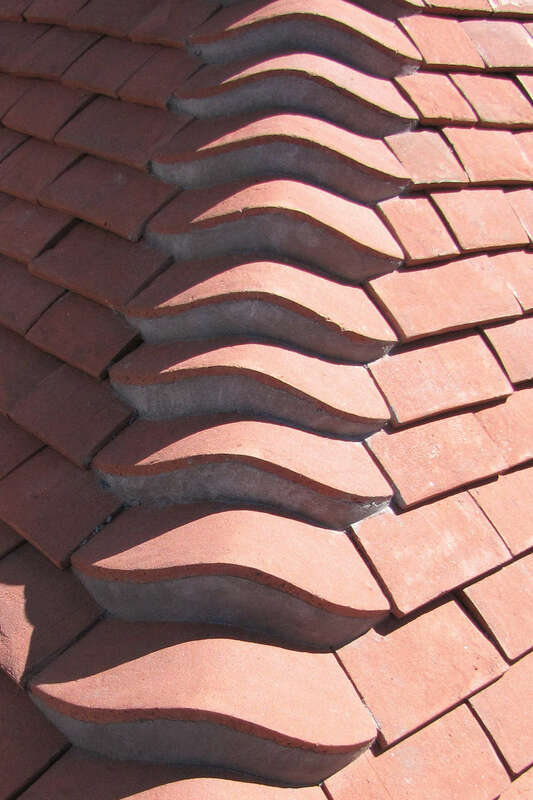 As you head further North hand made clay plain tiles become less frequent. Roofs do exist all over the U.K. but you have to look especially hard in the far North. The Pennines are dotted with fine buildings of various types, new, old, beautiful, ugly, in fact, no different to the rest of the U.K. Admittedly, the unique landscape does add an extra dimension to feast your eyes upon. The roofscape consists mainly of slate and concrete, and a few examples of stone and machine made plain tiles, both concrete and clay. Having spent many years immersed in a sales environment for roof tiles I find myself, out of habit, glancing up at roofs that catch my eye for whatever reason. Yet, despite the glorious canvas that I observe in residential areas and more remote village locations, I keep thinking that there is something missing. That special element that transforms a building into a building that is genuinely special. There is only one Company, in my humble opinion, that offers the knowledge, know how, experience, enthusiasm and above all, the choice of colours, which offer the opportunity to create and inspire the ultimate crowning of any building. There is no finer roof than that of roof with a Tudor Roof Tile on it. Go on, have a look….. Check out the website and download the latest brochure. There are more colours than just grey! Many thanks to Bob for taking the time to sing Tudor’s praises so publicly. Very proud that Tudor Roof Tiles have been shortlisted for the BuildIt awards 2018. Thanks to the team and a lot of effort from Jane Lomas PR & Marketing. Now available to view and download from the Tudor website, the new 2018 brochure uses QR codes to direct you to the more comprehensive technical, gallery, etc. web pages. The previous brochure is also available to download, which contains more roof photos, and is still relevant for the less internet savvy people (such as myself). Standard paper copies are available on request. 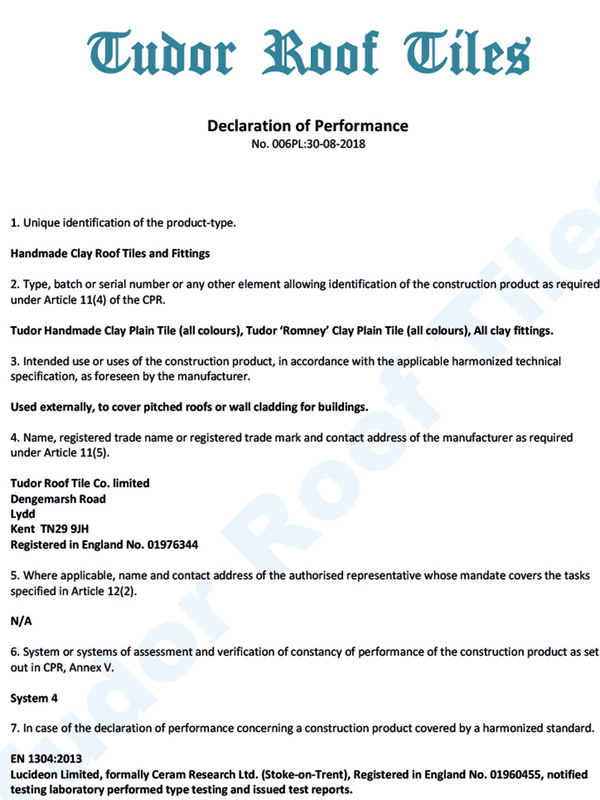 All construction (building) products used in permanent buildings in the UK must have CE Marking and a DOP (Declaration of Performance). 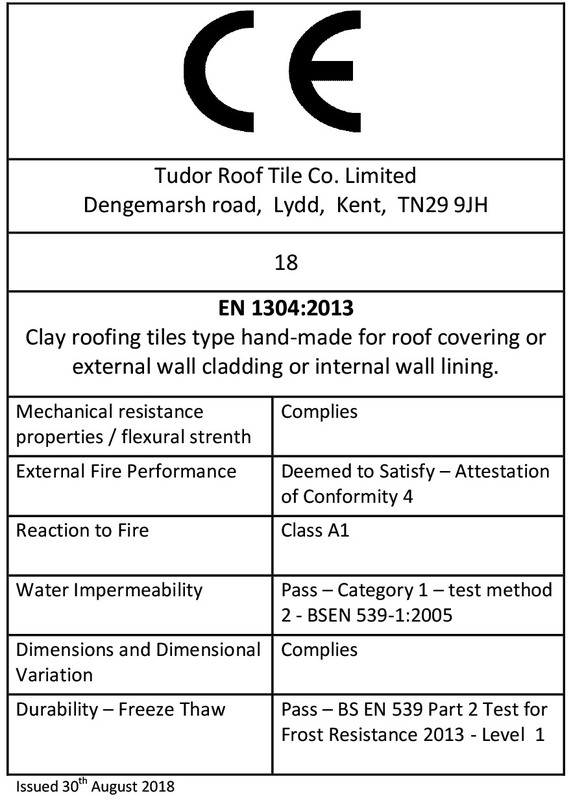 Tudor Roof Tiles stores all it’s quality certificates, including CE and DOP, from past to present, on the Tudor Roof Tiles website. Responding to our customers who want a hip that sits closer to the other hips (less cement between them), Tudor has developed the ‘Eyebrow Hip’ tile. 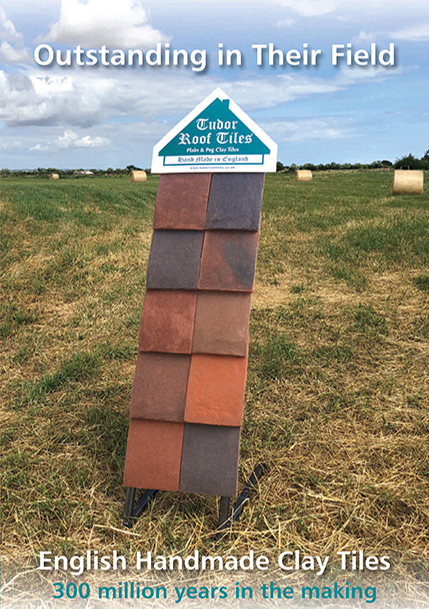 Available initially as ‘made to order only’ this hip tile can be supplied in all 10 colours currently produced at Tudor Roof Tiles.